I know that bugs, insects, spiders and the like give a majority of us the heebie-jeebies. 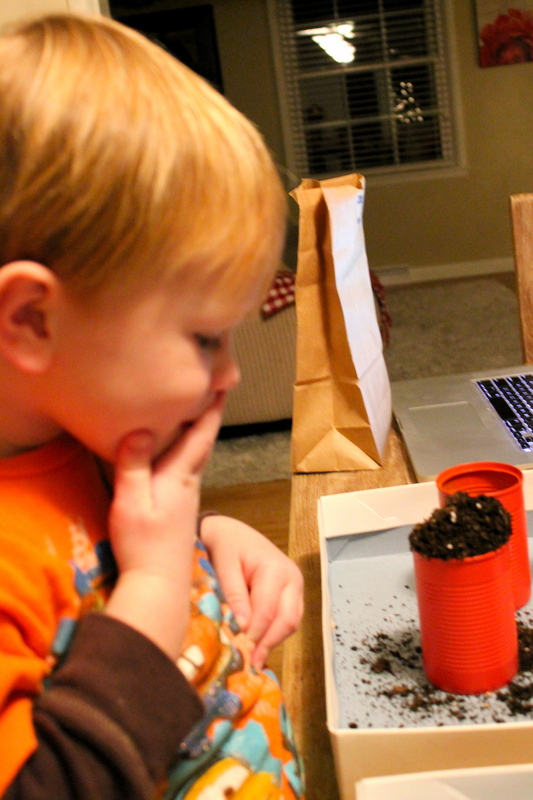 But when you’re a boy, and you’re about to turn four, and you’re favorite place to play is the dirt pile in the backyard…well…bugs are not only awesome…they get an invitation to your birthday party. 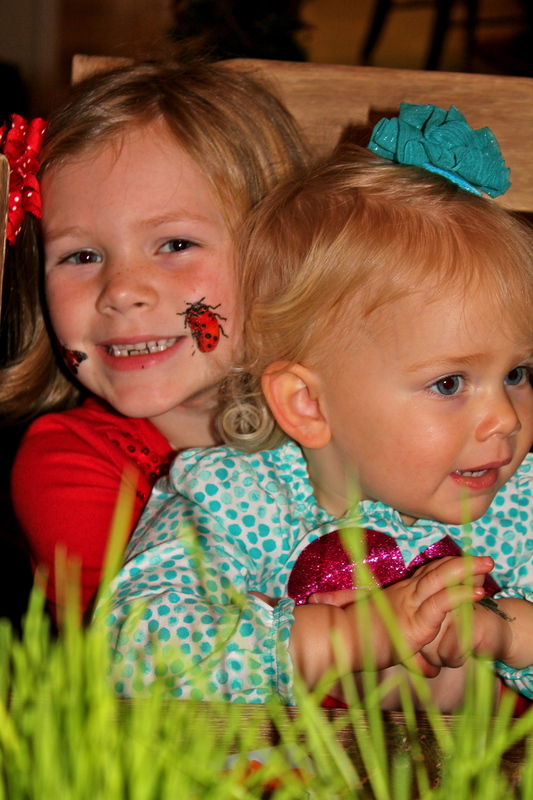 Welcome to our bug-themed birthday bash! Come on in and try not to swat at anything that is buzzing. Oh, and you may just want to cover yourself in a light mist of Off! before joining us for the party play-by-play. Can I eat the cake? Did you invite my friends and family to the party? Will aforementioned friends and family come to my party bearing gifts? 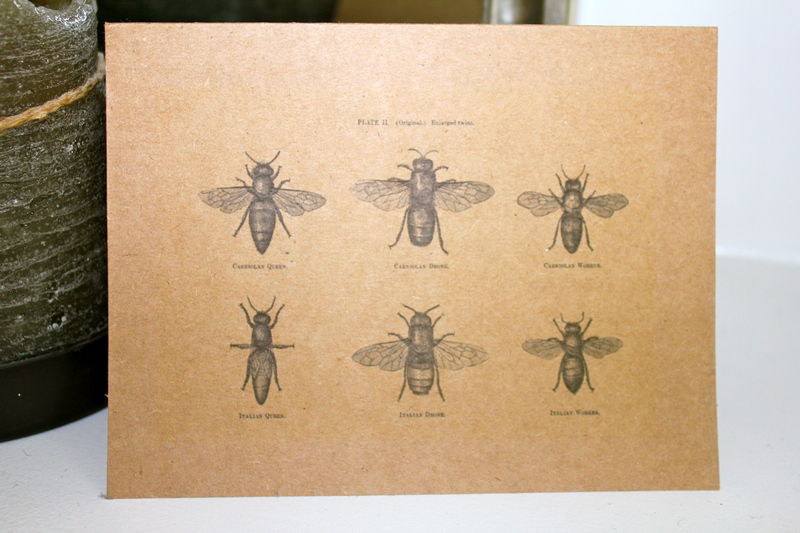 For those of you who do care more about invitation-type things, I found these free clip art images of bugs and their scientific names online and just printed them on the front of folded, craft paper cards I bought at Michaels. Note: I would love to include the link to the images but I can’t remember where I found them. Please forgive me. The party was last December and I forget where I put my phone at least 2.3 times per day so I can’t possibly hope to recall an obscure web site address. Thanks for understanding. And inside? 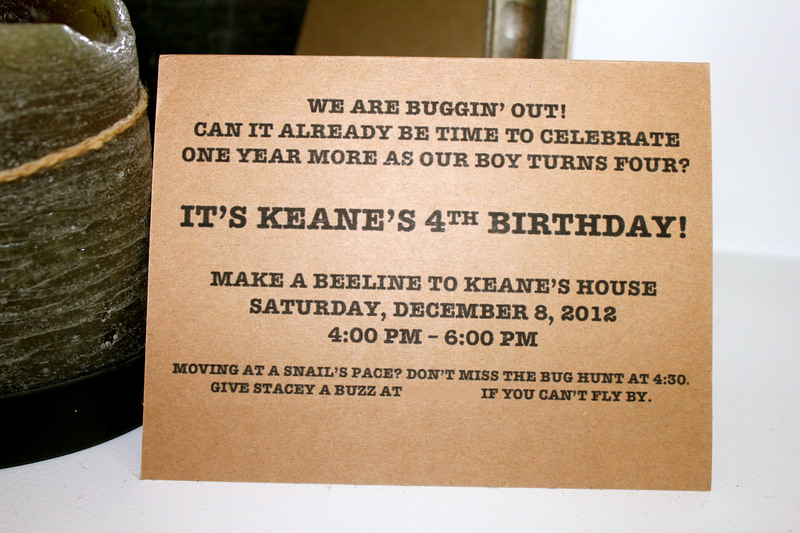 All the buggy birthday party details. 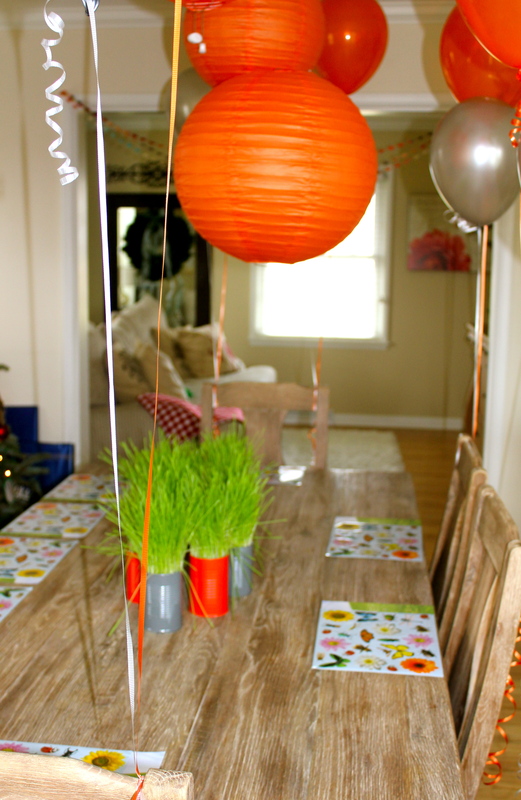 When my son and I finally landed on a bug-themed partay, my mind got busy planning the decor. When I think bugs, I think outdoors. And when I think outdoors, I think pretty green grass. And when I think pretty green grass, I think middle of December!?! Wait, that does not at all sound right. 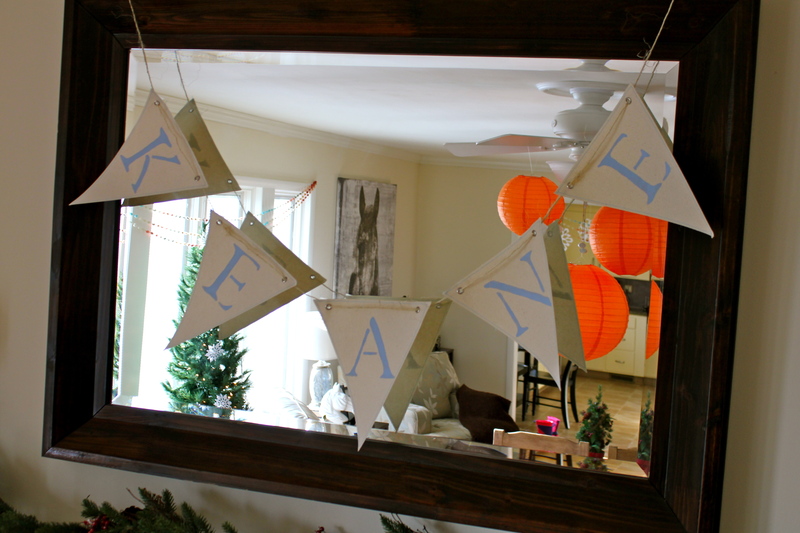 You may have noticed by now that our bug party decor is mixed with a fair amount of Christmas trees, evergreens and other Christmas fun. That is just going to happen when you have a child born in mid-December. Last year we had cowboys and Christmas trees. This year? Crickets and Christmas. Never a dull moment around these parts I tell ya. In order to make the grass centerpiece I had envisioned, I first needed to figure out how to make lush, green grass grow in the middle of winter. And before I could grow said grass, I needed to find something affordable and readily available to grow the grass in. And for that I looked no farther than my trusty pantry. After eating the contents (I fear I will NEVER be able to look at mandarin oranges the same ever again. 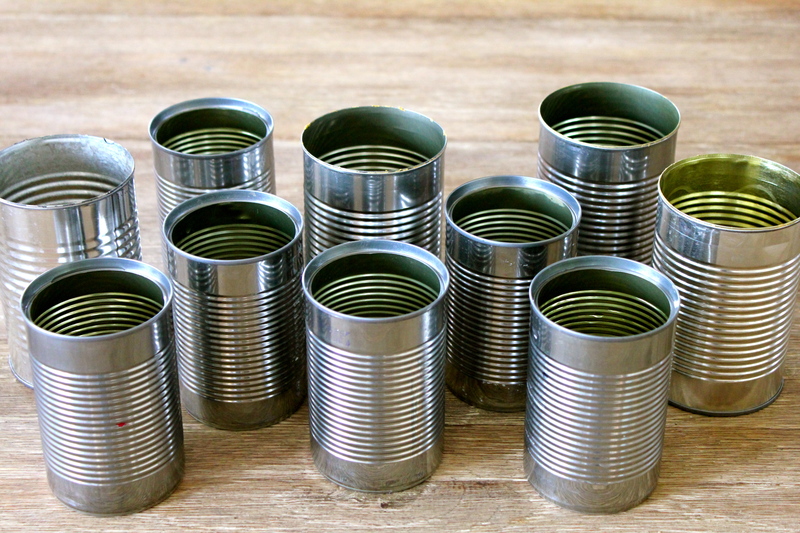 ), I washed and dried the cans. 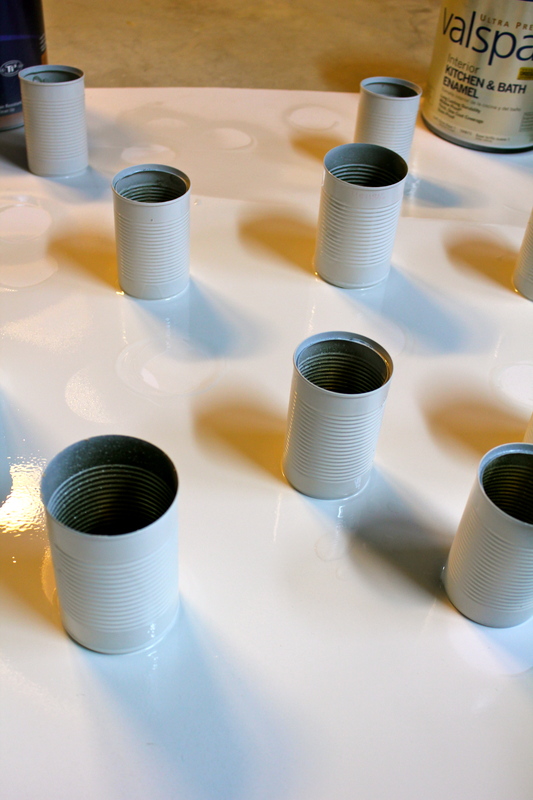 I then primed and spray painted all ten of these babies. 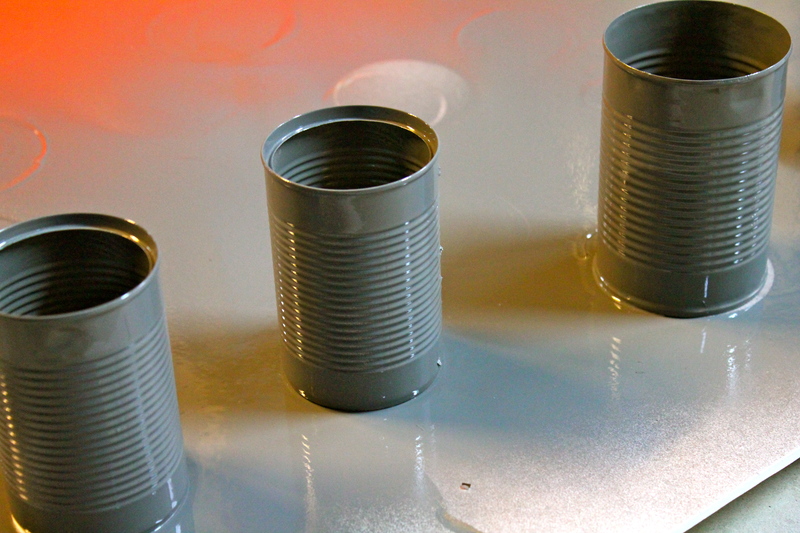 First I primed the cans and waited for them to dry. 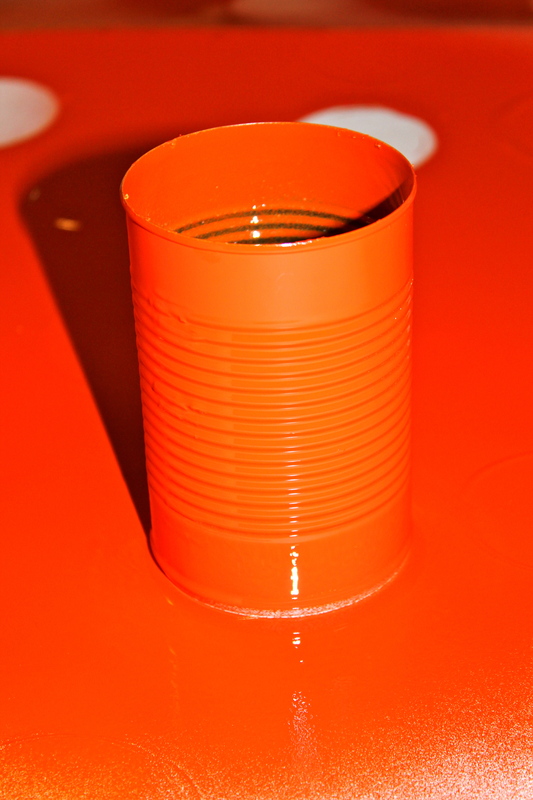 Then I used Rust-Oleum spray paint in Fire Orange on half the cans. And Rust-Oleum’s Granite for the rest. 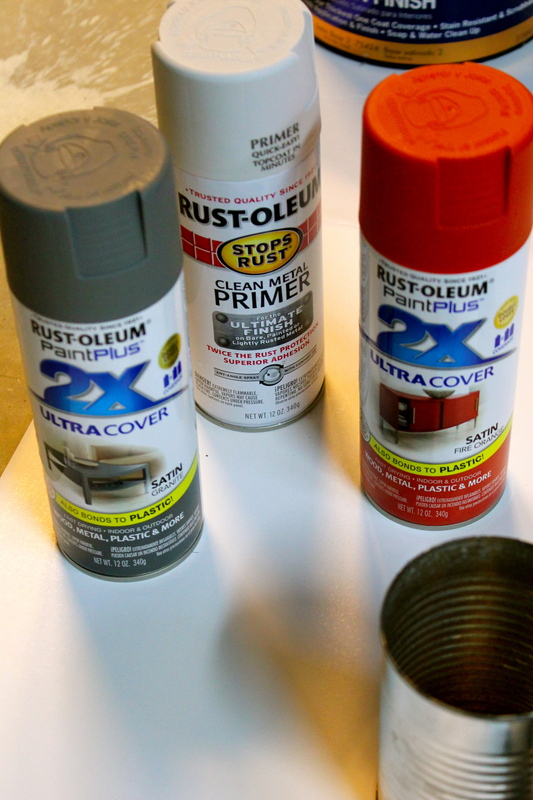 It took two light coats to adequately cover our containers. 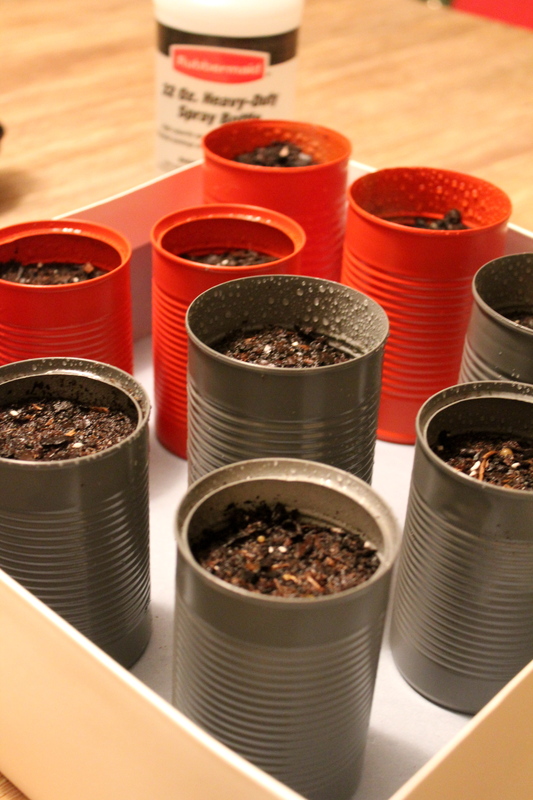 With the containers ready, now it was time to put my green thumb to the test and grow us some wheat grass. In hindsight I am really glad this worked out. 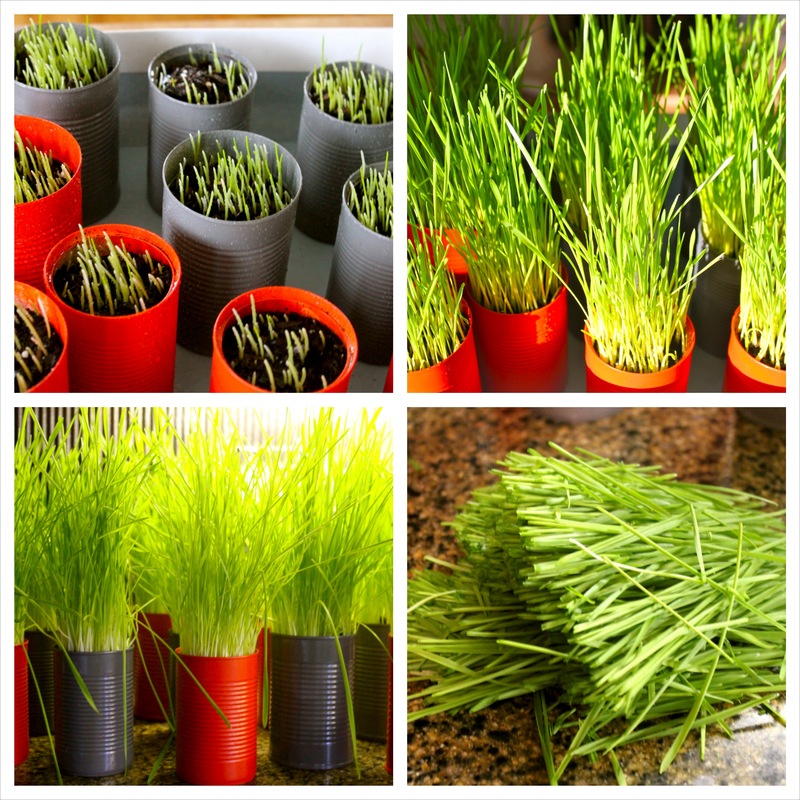 I had never grown wheat grass before and I had no party centerpiece back-up plan. 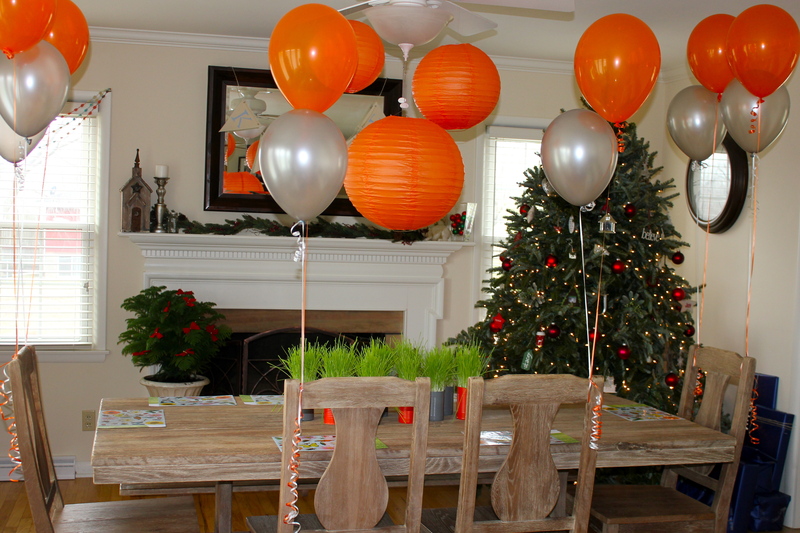 No centerpiece back-up plan? I am constantly living on the edge I tell ya! 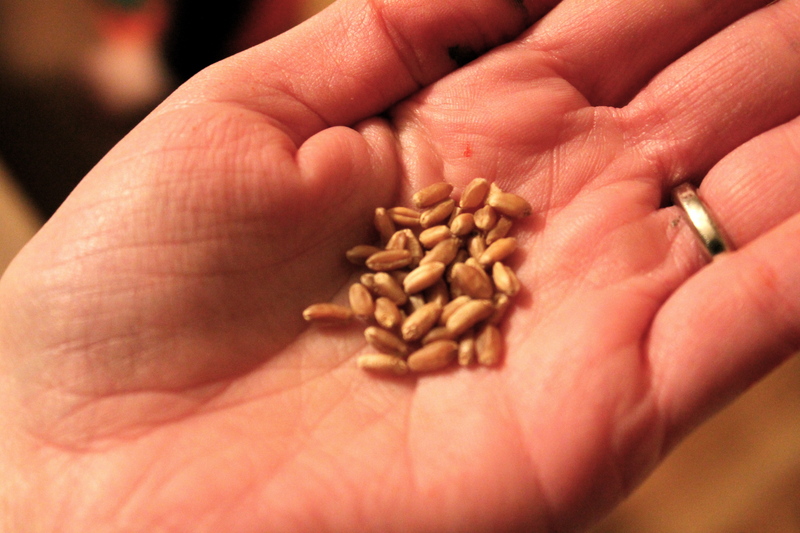 After a bit of searching online, I learned that red wheat berries are the seeds used to grow wheat grass. 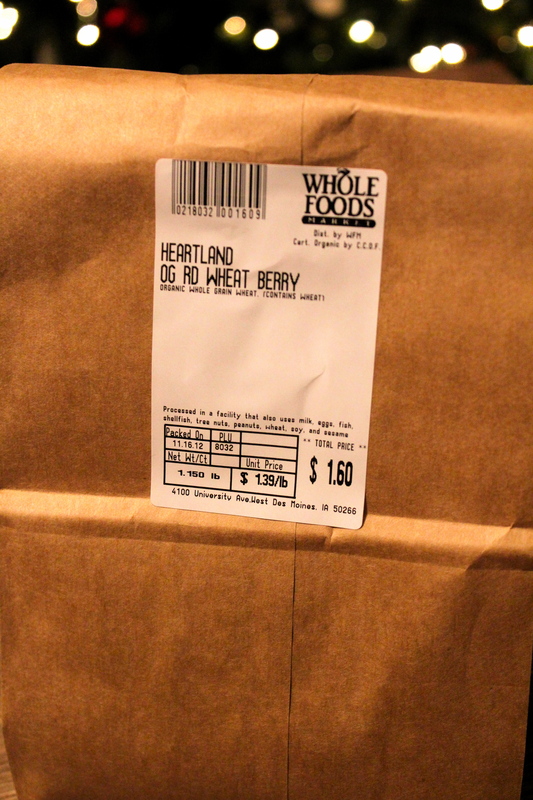 With my newfound seed knowledge, I traveled to the bulk foods section of my trusty natural foods store and for $1.39 lb I had all the seeds I needed. Note: I bought a little more than a pound but didn’t even need half of that for this project. A little bit of red wheat berry goes a long way. A close up of the seeds and the small, but stubborn spot of orange spray paint still on my palm. I wash my hands…frequently…I promise. …and finished by layering more potting soil on top. 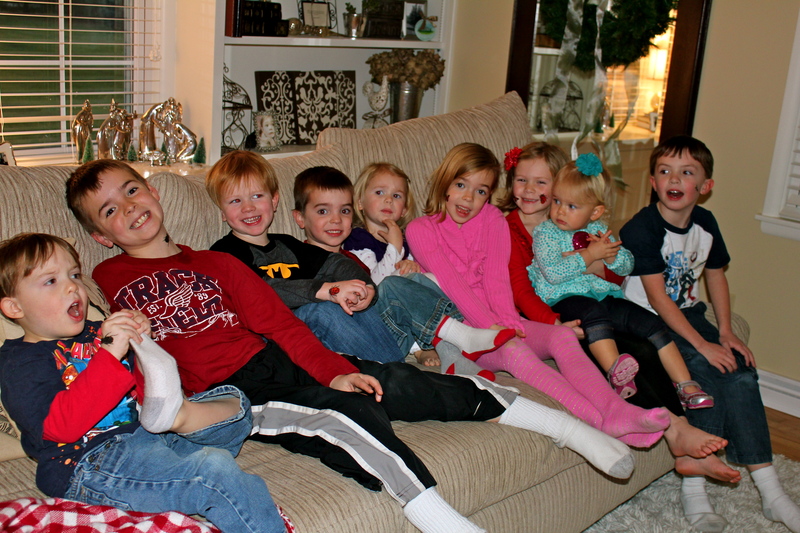 If you enlist the help of littles, you may or may not have an oops moment or six. 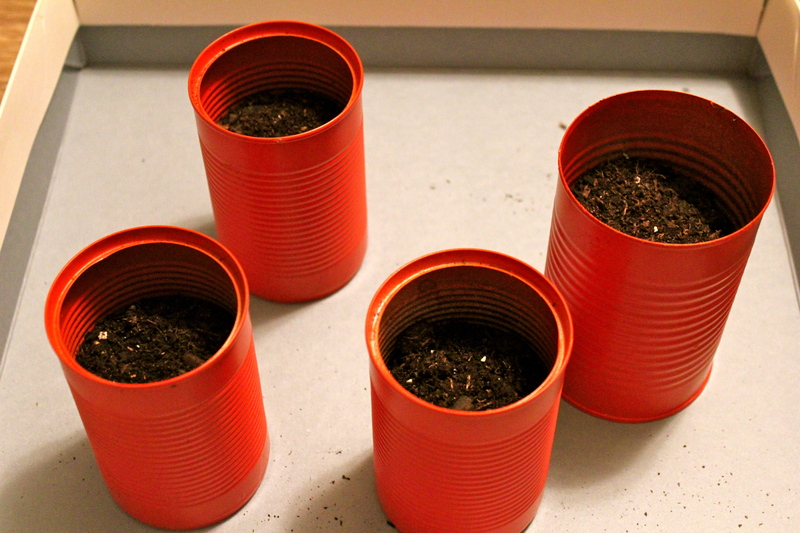 In case you are wondering how many seeds to plant, we filled the entire circumference of the container with seeds. And it gave us the lush, thick grass we were after. Then with a spray bottle we misted these puppies, and talked to them about world events, and made sure they had access to light and affordable healthcare. And then we repeated this process 3 to 5 times a day until they started growing. 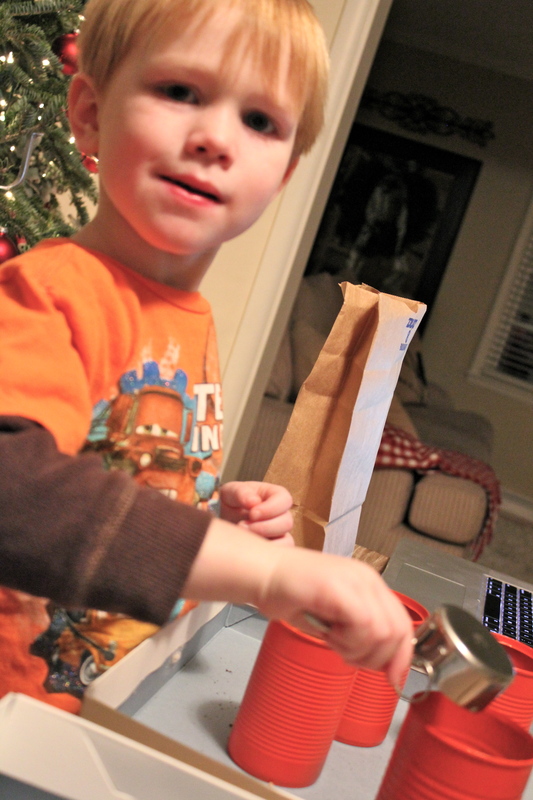 And then the magic started to happen…sprouting! Growing and more growing followed. So much growing that by Day 8, our healthy and happy centerpiece needed a haircut. That is a sentence I never thought I would write in my lifetime. Bottom Right Photo: Haircut! There is nothing like the smell of fresh cut grass in the middle of winter. I cannot guarantee that it won’t give you cabin fever right then and there on the spot. You’ve been warned. 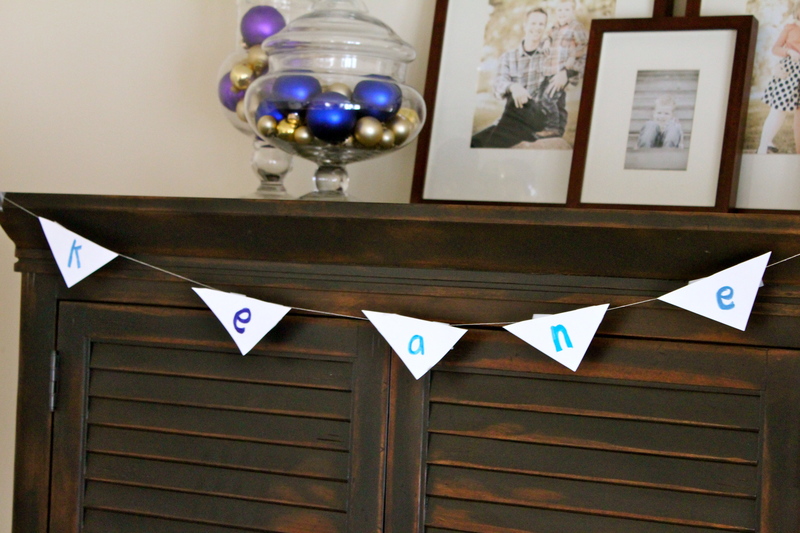 …and a canvas banner that I had stenciled the birthday boy’s name on to and strung with jute rope. Beaut.one, feeling inspired by the birthday banner, made one of her own for her brother. I absolutely love it and Beaut.two loved it and we now have photographic evidence that they do truly love and like to celebrate one another. There are days when I really wonder, but this little piece of crafting brilliance gives me hope. 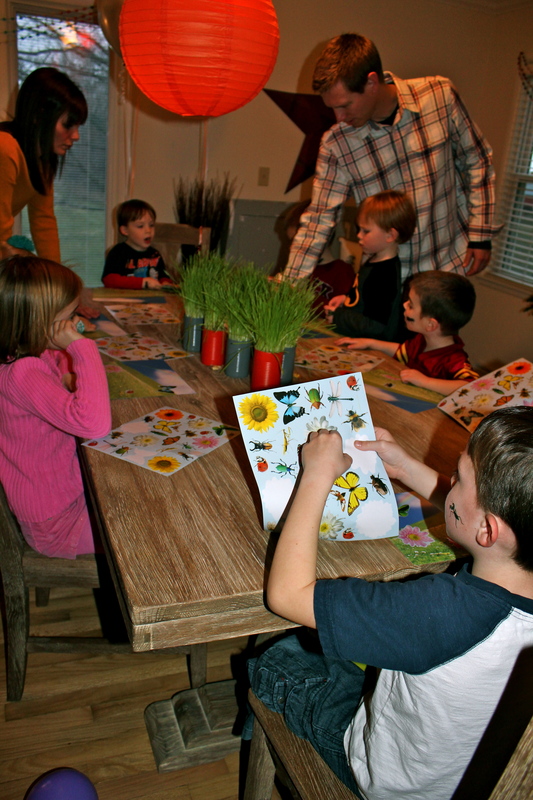 Each pint-sized party attendee had a buggy sticker activity sheet at their seat. I ordered these from Oriental Trading (Yes! I remembered something!) and the kids had fun putting together their sticker scenes. As you can imagine, the girls finished scenes contained a fair amount of flowers and butterflies. The boys? Not so much. 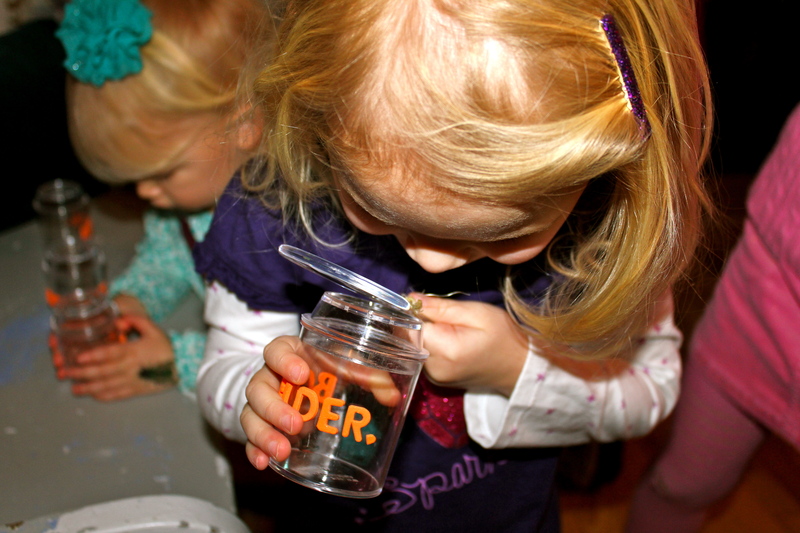 What would a bug birthday party be without a bug hunt? 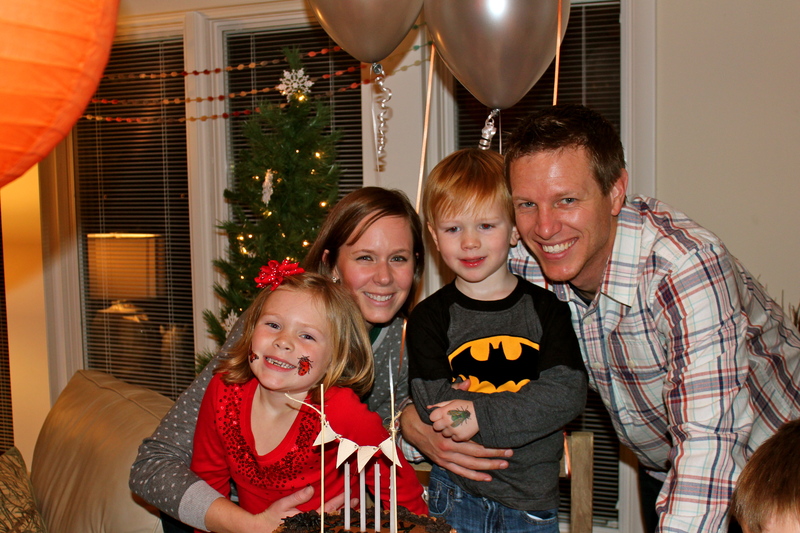 It was at this point in the party when I was wishing my dear, sweet child had been born in June. A bug hunt outdoors would have been preferred by all but you do what you have to do. 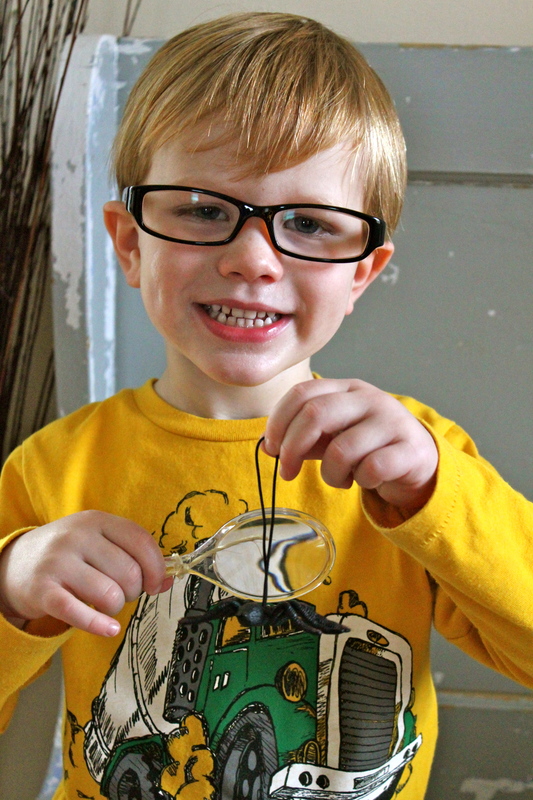 We hid over 250 bugs in our home and let the littles loose finding them. 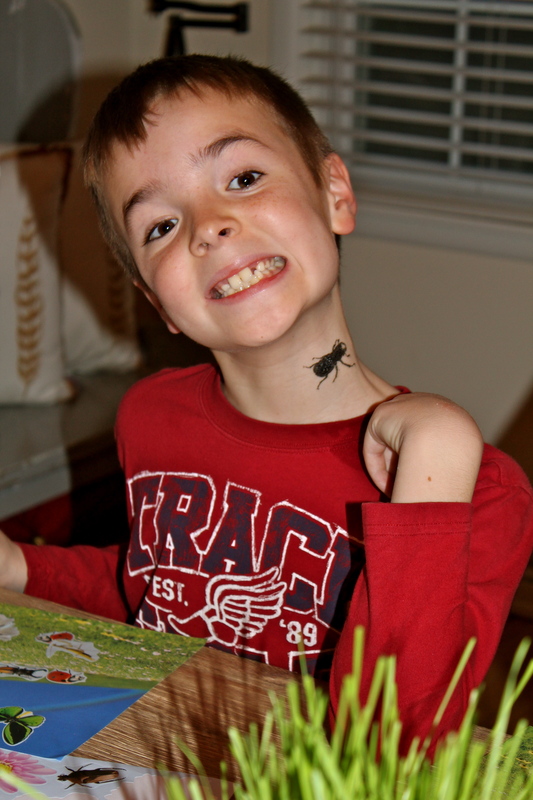 I am happy to report that not one ceramic animal or lamp or picture frame was harmed in the bug hunt frenzy. And I was only still finding a random hidden bug here or there until about Easter. Success!!! 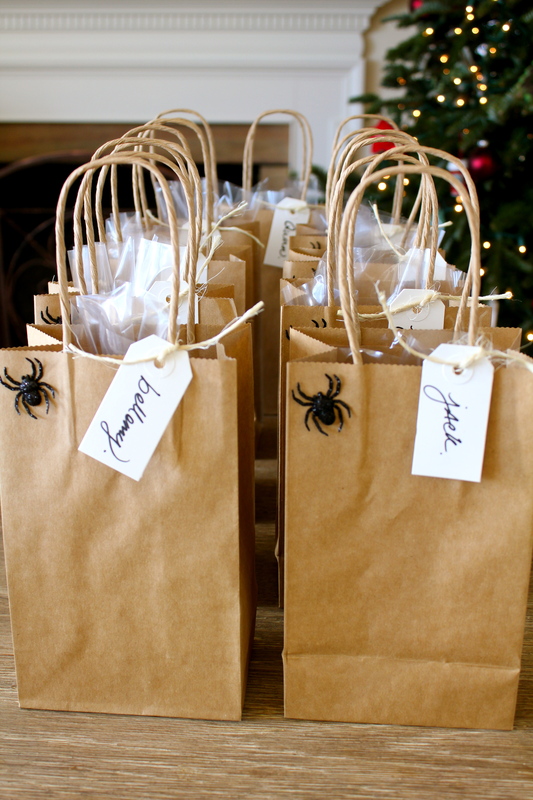 The kids’ favor bags doubled as bug hunt collection bags. I am positive their parents were thrilled when I announced that all found insects and bugs during the hunt were theirs to take home! Positive. 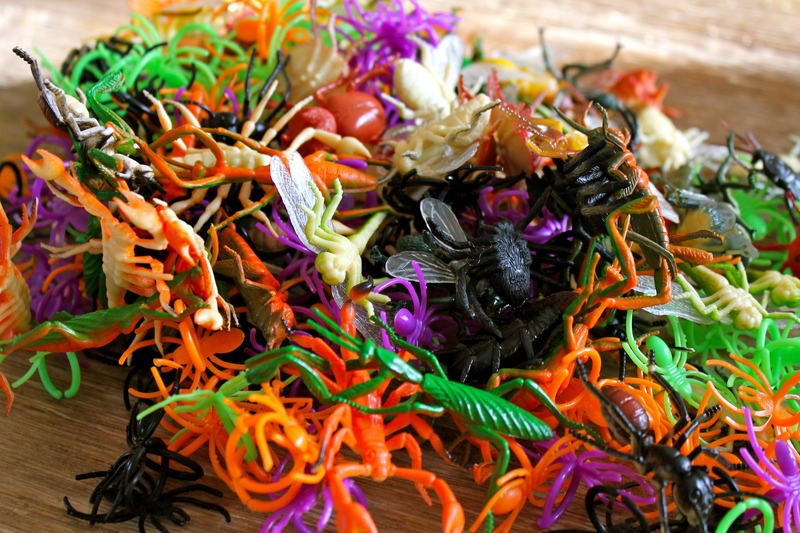 The favor bags also included magnifying glasses, bug tattoos and stickers, gummy tarantulas and other creepy, crawly fun. By special request from the birthday boy himself, we had real bugs join us for his BIG day. 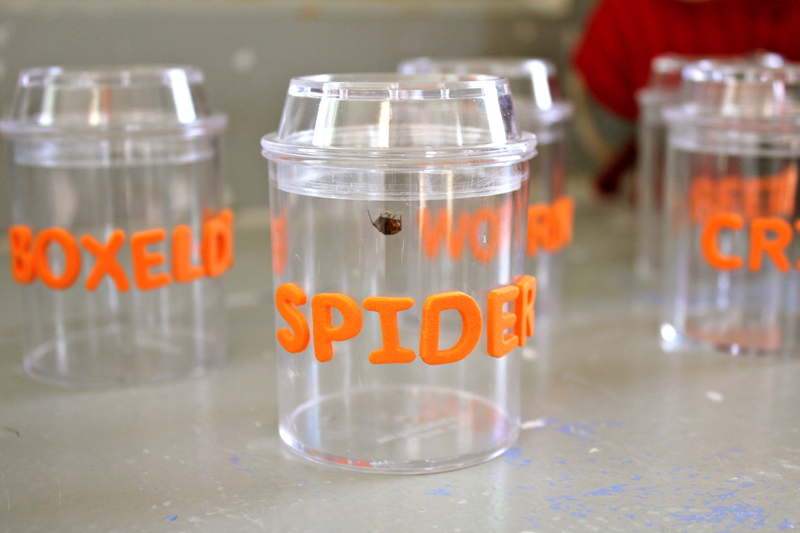 We had spiders and beetles and crickets…oh my! 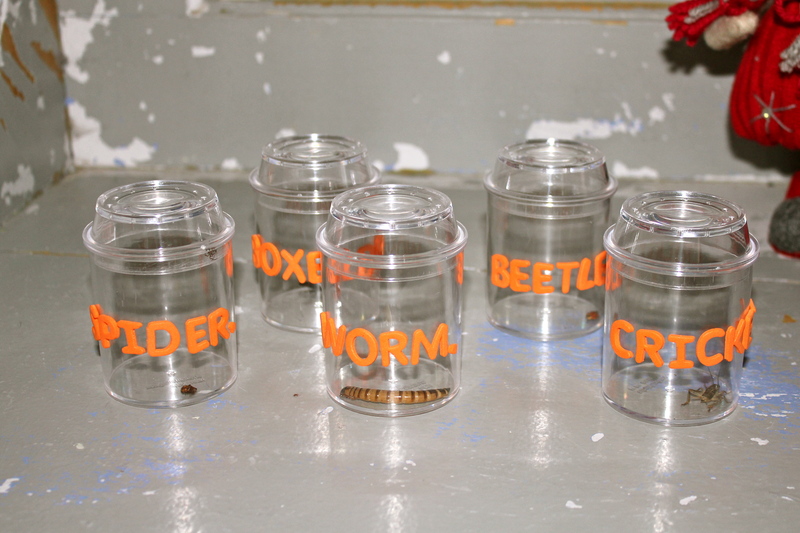 A majority of the bugs were procured from our local pet store and at least one (Mr. Spider) from our basement…yikes!!! The bugs from our pet store ended up being free too when my husband happened to mention that we just needed one of each for our party. They sell things like crickets in bulk so reptiles of all stripes get their supper and I am quite sure they did not have a way to ring up one solo cricket. So free it was! They gave us that gross looking worm too. I won’t gross you out further by telling you that this worm was carnivorous and that we had to be sure it didn’t eat the cricket and beetle it shared a plastic baggy with all the way home. I just won’t. I like you all too much. 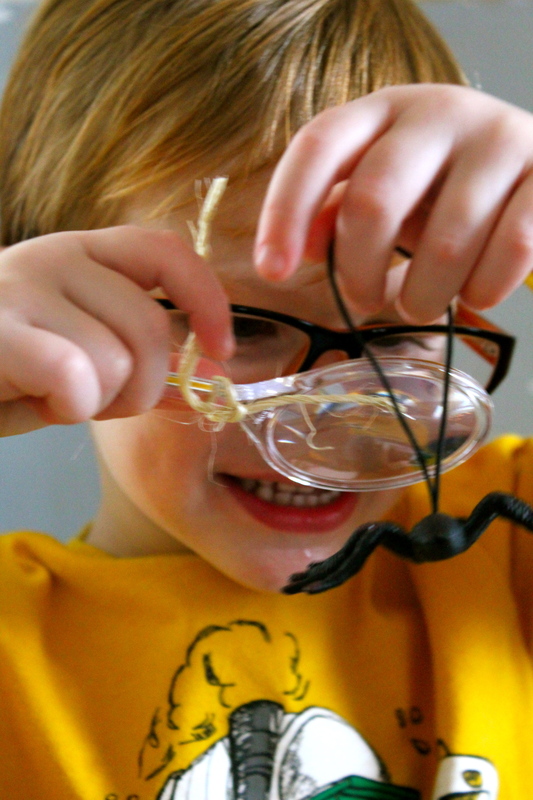 The bugs were a HIT with the kiddos and none escaped so I considered that party success! It feels really wrong to move from bugs to food, but stick with me! I hear bugs are a great source of protein. We had a ‘dirt’ birthday cake for this outdoor-inspired affair. 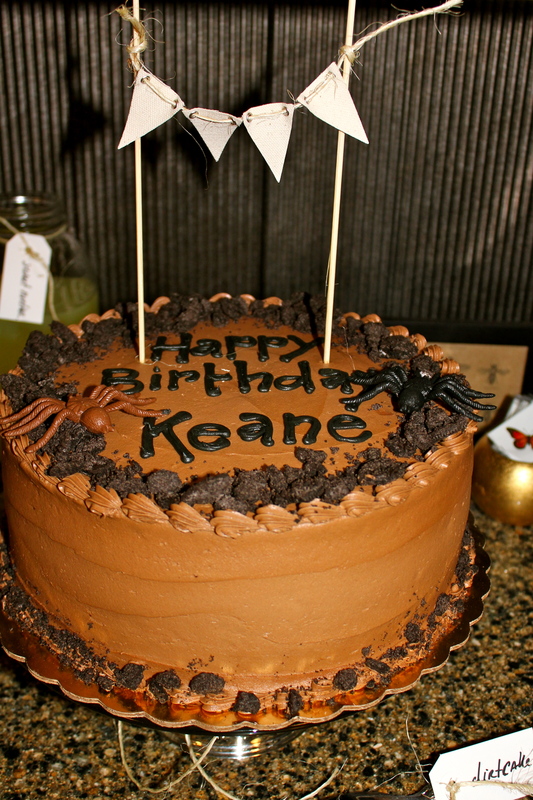 A chocolate cake topped with piles of dirt (Oreo cookies) and some (thankfully) fake spiders was blissfully delicious. 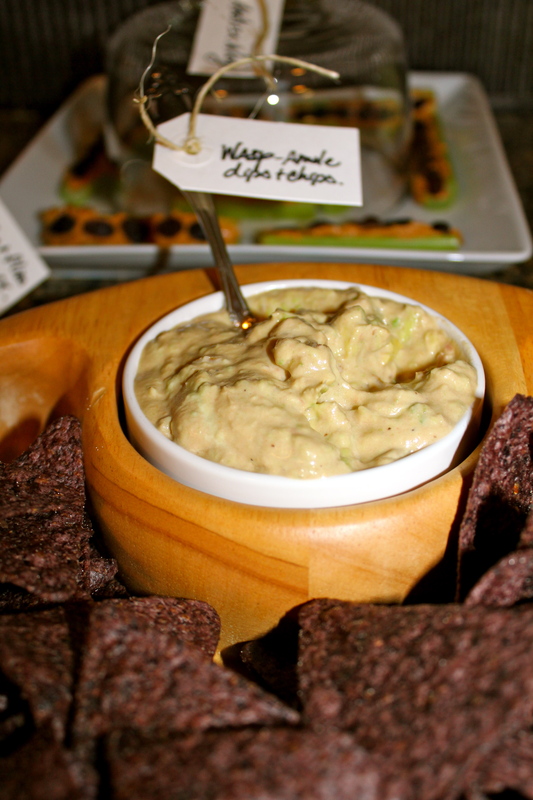 We also noshed on Wasp-amole (homemade guacamole) and of course ants on a log. To wash it all down? 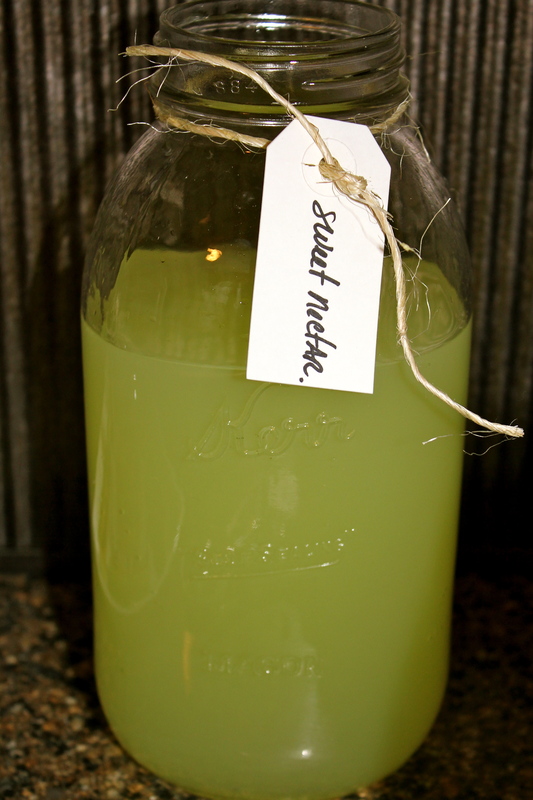 Sweet nectar…also known as simple lemonade. 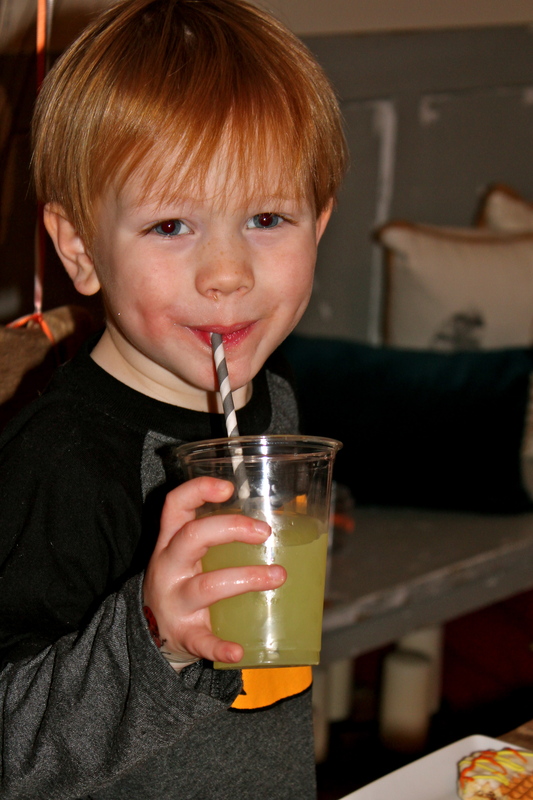 The birthday boy had no problem sucking down that sweet nectar and getting his fill of all the other sweet treats too. He comes by his sweet tooth teeth quite naturally. It wasn’t my fault. I was very pregnant and his sister had brought home a Halloween candy haul and I was very pregnant and hungry and exercised no self control whatsoever. OK, so maybe it was a teeny, tiny bit my fault. 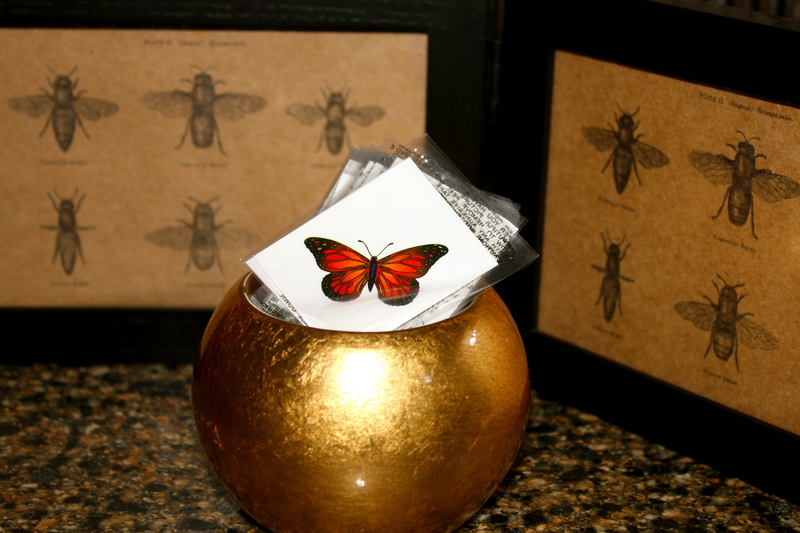 Oh…I almost forgot the bug and insect tattoos. How can one possibly forget these when they were such a hit with the party guests!? Large, colorful bug tattoo on each cheek? Check! 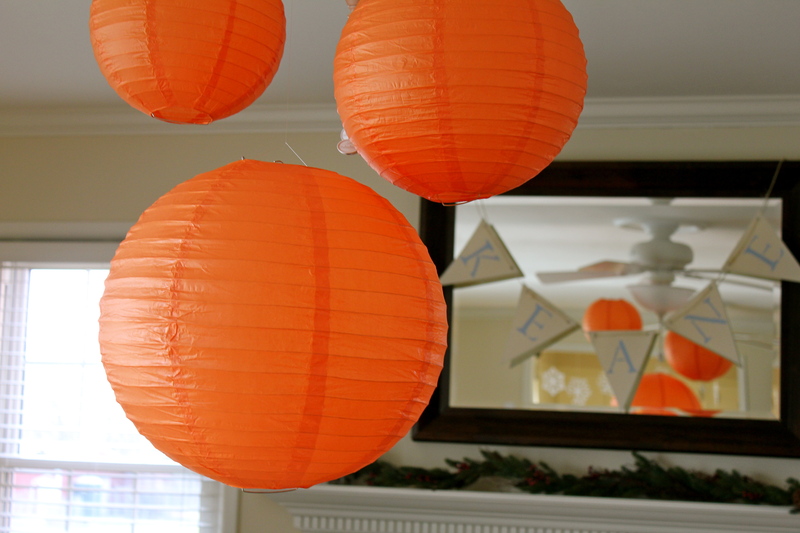 And one last thing…a little preview of what this year’s totally awesome party theme is going to be. 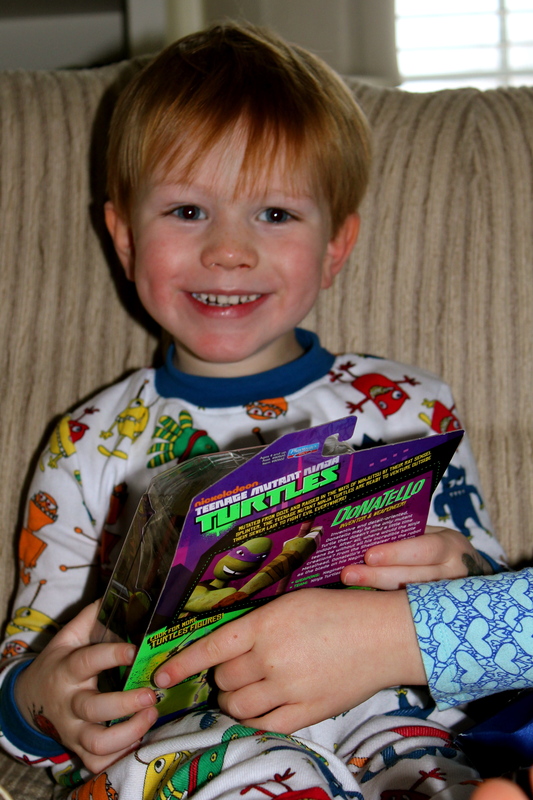 And I promise…no live turtles! Happy Friday everyone! I hope you get the chance to celebrate someone or something this weekend!